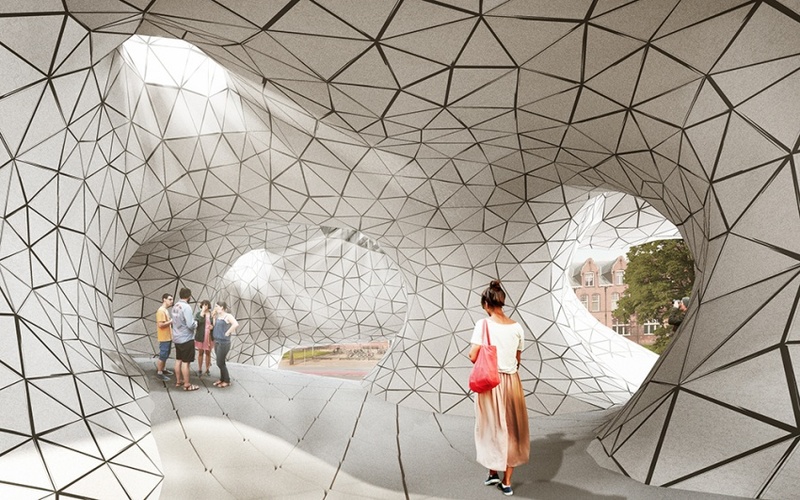 skintegration aims to revitalise the area by providing a link between the city centre and the TU Delft, acting as an exhibition space to showcase both the TU Delft and the city to the rest of the world. It recognises the two as being in a dynamic, interdependent relationship and targets the currently unused space by creating a social and cultural hub at the threshold between the two sites. In a society that is increasingly geared towards producing instead of consuming, skintegration addresses this by exploring interactive systems in a non standard setting and sets to produce energy to be both self sufficient and contributive. The building’s form and construction takes influence from the spatial qualities that result from intersecting spaces, and therefore places heavy influence on connections between not only its programs but its contexts as well. the building seemingly melts and blends into the landscape, flowering out to project itself. Connectivity and fluidity are resultant, with the juxtaposition of private and public spaces bringing back social equity within the area. The spaces are generated through a parametric script which is based on designed curves, emphasising flow of circulation and creating relationships between defined meeting points. 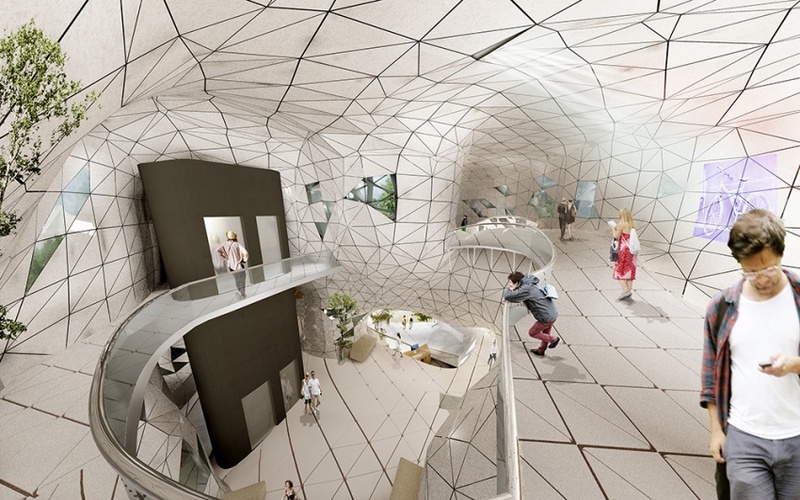 skintegration takes its name as much of the architecture of the building is integrated within the skin itself. the adage ‘one building one detail’ has been one of the core concepts in developing the design, highlighting a visual richness. 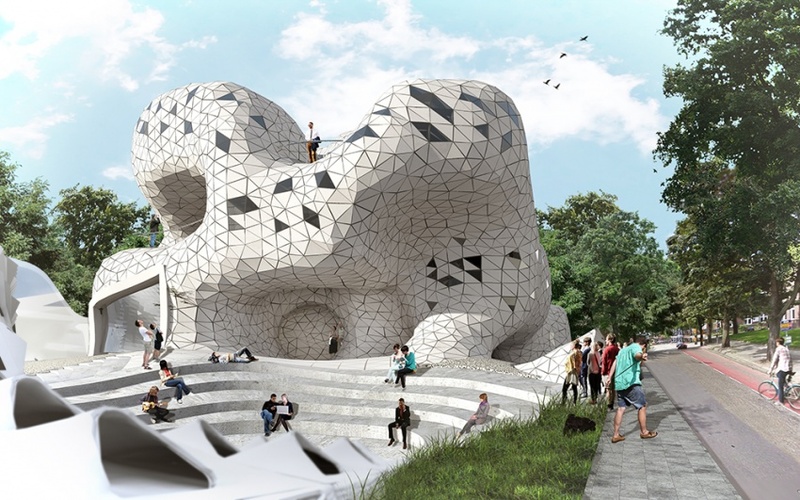 The complex shape becomes possible through simple forms. The construction, climate strategy, and architectural qualities are all embedded within a one component system which can be custom cut to achieve a fluid consistency through all portions of the project. The components of the skin are designed to be easily customised to gather energy for itself and the wider lot. the positions of panels are optimised and behave to capture the maximal amount of energy - solar panels move in accordance of the sun, and rainwater components capture water not only for use for amenities, but also to precool or prewarm fresh air in differing seasons. these components are integrated into the concept through performing its functions without disrupting the perpetual scope of the building form. 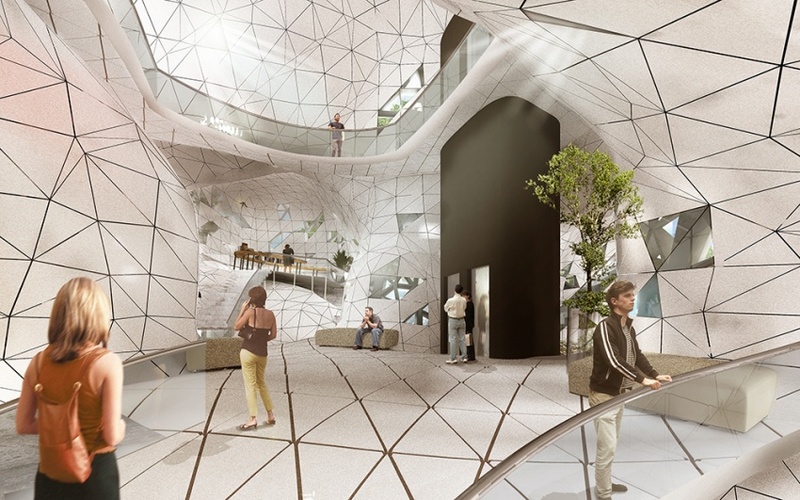 skintegration integrates all portions of the project within its skin, incorporating construction, climate design, interactivity, and forming blended spaces to create a harmonious uniform building that blends in seamlessly with its surroundings. 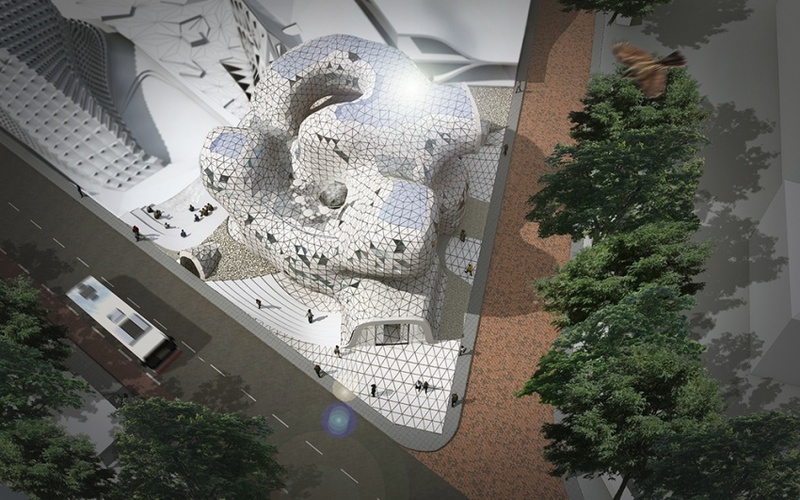 This slideshow shows the final renders. This page was last modified on 4 February 2014, at 12:08. This page has been accessed 15,627 times.